A lot of questions I get from customers is, what Azure command line option should we use, Azure PowerShell or Azure CLI. To be honest, it all comes down to personal preferences. Both options have dedicated and growing development teams. 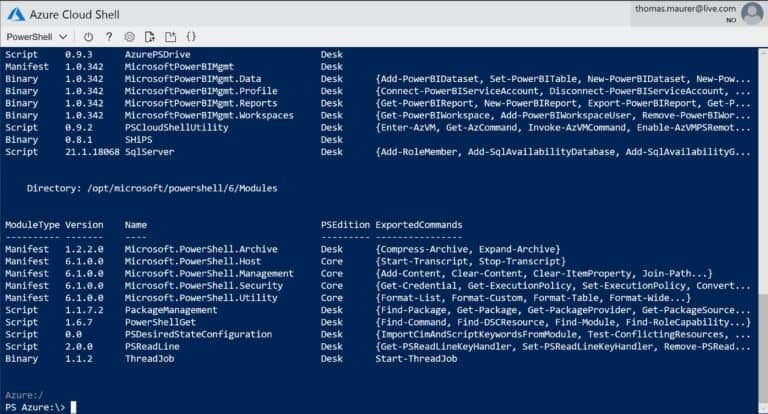 Yes, there are currently some inconsistencies between the two option, where some commands are not available in the CLI, but they are available in PowerShell. 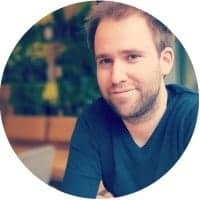 Microsoft is working with the feature teams on the consistency. In addition both shells are open source and you can find them on GitHub (Azure PowerShell and Azure CLI). I am obviously more of an Azure PowerShell guys, since I am coming from the Windows world. However, since the new Az PowerShell module is based on PowerShell Core, both shells work on all platforms like Windows, macOS and Linux. I still prefer the object model of PowerShell versus the text streams of the CLI. To start with, if you haven’t used Cloud Shell before, you will need to setup it up for the first time. When you open the shell for the first time in the Azure portal, the dedicated Cloud Shell site or even in Visual Studio Code, you will be prompted to configure the storage and the resource group where Cloud Shell will be hosted. If you just want to have a quick look at it, I recommend clicking on the advanced settings link. This will allow you to set the name for the resource group, the storage account as well as for the Azure File Share. You can always remove the Cloud Shell by deleting the Azure resource group, which you used during that setup process. You cannot only configure the shell experience by choosing which shell you want to use, you can also configure the font and font size. 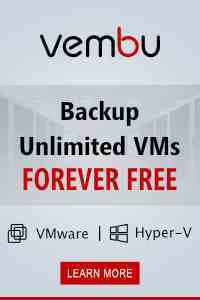 You can also upload and download files and if needed restart the container. Files can also upload using drag and drop directly into the browser. In the PowerShell experience, you also get the cmdlet Export-File, which allows you to quickly download a file. One of the great features of Cloud Shell, is that you will find many tools already installed, one of them is SSH. 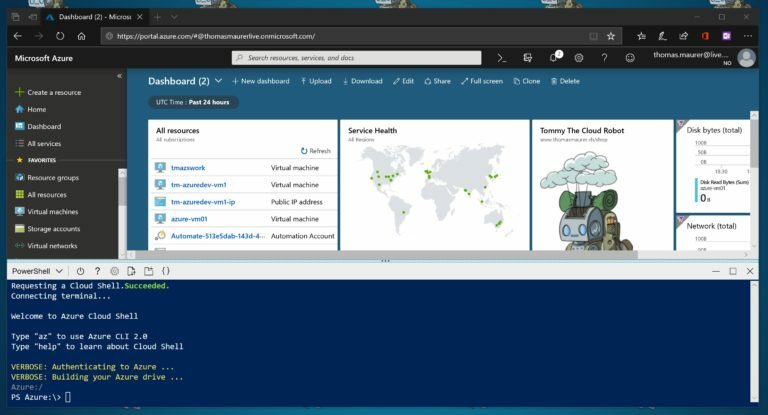 If you want to connect to your VM directly from the Azure portal using SSH, you can simply fire up Cloud Shell and do so. This makes managing Linux much easier. You can create and deploy and manage virtual machines directly from your web browser. In the bash experience you have a command called “clouddrive” to manage your CloudDrive, in the PowerShell you have the cmdlets Get-CloudDrive and Dismount-CloudDrive. Cloud Shell comes with common editors like nano and vi, but even cooler is the build in Cloud Shell editor, which will give you a great editor. it is an editor based on the Visual Studio Code open-source project Monaco. Monaco is the same web-standards based editor that powers Visual Studio Code, and the editor is now integrated directly into Cloud Shell. To open the editor, you can simply type “code” or use the button in the menu. As you can see, you also get syntax highlighting with various languages and ARM templates. PowerShell in Cloud Shell has some remoting command lets built-in in the PSCloudShellUtility module. 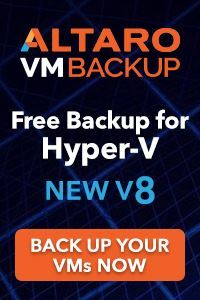 These modules allow you to quickly setup remoting into Linux and Windows virtual machines running on Azure. You can run the Enable-AzVMPSRemoting cmdlet to enable remoting for a specific VM. This will setup and configure the remoting and NSGs in Azure. With the Invoke-AzVMCommand, you can simply send a command to the operating system. The Enter-AzVM command allows you to have an interactive session with the virtual machine. For Linux virtual machines you can use password or certificate authentication. The Azure PowerShell based Cloud Shell, has something called the Azure Drive. Azure Drive is based on a PowerShell provider called ShiPS. The Azure Drive lets you navigate through Azure resources just like a file system. A PowerShell provider allows any data store to be exposed like a file system as if it were a mounted drive. In other words, the data in your data store can be treated like files and directories so that a user can navigate data via cd or dir. SHiPS is a PowerShell provider. To be more precise it’s a provider utility that simplifies developing PowerShell providers. There are not just Microsoft tool preinstalled in the Cloud Shell. Not only do you have multiple alternatives to the Cloud Shell editor, like emacs, Nano or vi installed. There are multiple third-party applications like Git, Terraform, Ansible, Docker, Kubectl and many more third-party tools and languages installed. Here is a short list of different tools, pre-installed and ready for you to use. On the Microsoft docs, you can find a current and full list of tools. If you are working on your device in Visual Studio Code, you can directly open and use Cloud Shell in the Visual Studio Code terminal. This allows you to keep consistency, even if you are working directly in the editor on your device. You can run your scripts and commands directly out of Visual Studio Code. To do that, you will need to install the Azure Account extension for VS Code. This will connect you directly to your Cloud Shell running in Azure. As mentioned before, Cloud Shell has a lot of third-party tools installed. It also has some extra Microsoft PowerShell modules and tools to manage not only Azure, but also other Microsoft services. This means it becomes a real Microsoft Cloud Shell to manage all sorts of services, servers, applications and tools. In the beginning of this blog post I showed you how you can upload and download files. This is great if you want to run a quick script, but if you want to work a little bit more serious you might have a Git repository, where you store your files. I store my personal scripts in an Azure DevOps repository. Cloud Shell comes with Git per installed and you can simply clone a repo to your cloud drive. Obviously, you can also use GitHub or any other repository as long as it is reachable from Azure. If you have the Azure mobile app for iOS or Android, you can manage your Azure resources directly from your mobile. 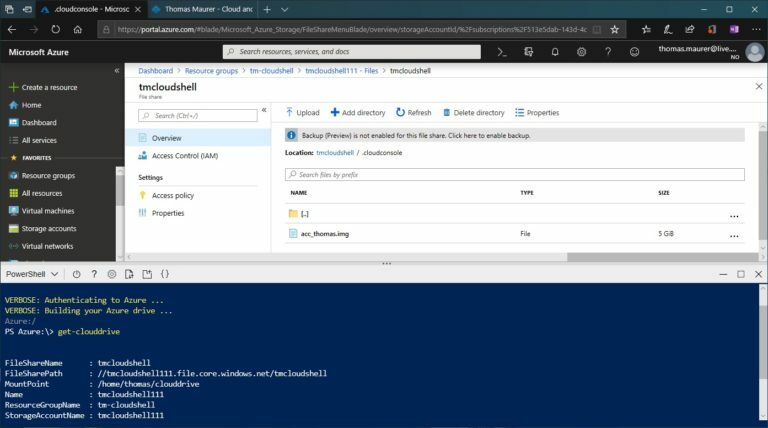 If you look closer, you will also find the option to run Cloud Shell within the Azure mobile app, which gives you basically access to the shell from anywhere. Another great thing is the direct integration into the Microsoft docs pages. 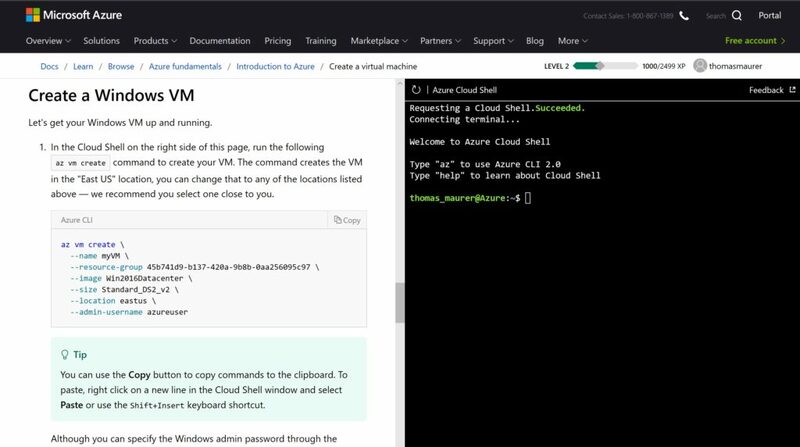 If you are opening the Azure documentation, you will not only find the information, you have a “try it” button, which directly opens up Cloud Shell in the documentation page. Cloud Shell is basically free, the costs behind it are coming from the Azure File Share and the storage you consume. Billing is based only on the Azure Files share used to persist your data. 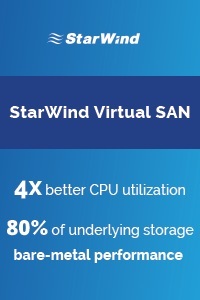 Your total costs depend on how much you store, the volume and type of storage transactions and outbound data transfers, and which data redundancy option you choose. I hope this was useful and that you learned more about Cloud Shell. Go try it and if you have any questions, let me know! This is a great and perfect summary of Cloud Shell! Thanks a lot for sharing this. I really like the create GIFs. do you have a tool-recommendation for GIF-creation out of screen recording sessions? Thanks for this post! Great info! Few things I already know about CloudShell, but “code”, “git”, “dig” and other tools somehow slipped by. Thank you for the article, great stuff.